They say, "naam mein kya rakha hai? (What's in one's name?)" Well, why not? You have to survive with the same name for the rest of your life since your naamkaran sanskaar! Here's a mischievous-me exploring the humor behind Indian names (with no intentions against anyone or any community). 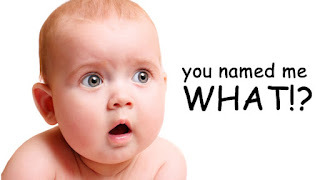 I listed out some interesting categories of names which I feel Indian nomenclature is divided into. This also includes examples of names of real people I know (again, no offenses intended). What's your brand? People down the south of India have their names which requires more than normal number of blocks in the bank application form like the respectable Indian athelete Pilavullakandi Thekkeparambil Usha , guess who? Sigh! Here comes an end to my list. What do you think your name would have been if you were given a chance to settle upon one for yourself?